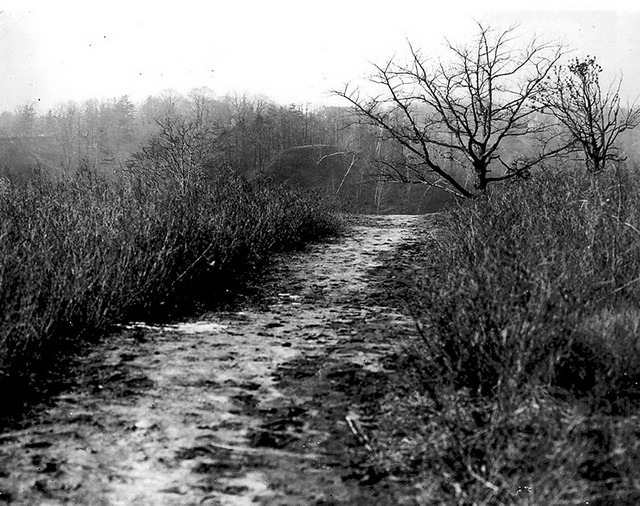 Footpath across Don Valley, 1908. City of Toronto Archives, Fonds 1244, Item 1257. As a child, Ernest Thompson escaped his rough Cabbagetown neighbourhood by hiking deep into the virgin forest of the Don River Valley, Rosedale, and Queen’s Park. Born as the youngest of ten brothers to a family with fourteen children in England, Thompson had loved the woods and wildlife since his family had immigrated to Canada when he was six and settled in Lindsay. His father, failing as a farmer, soon relocated the family to Toronto so he could seek work under his true expertise: accounting. Upon their arrival here, the family initially had to live in one of the worst parts of town, though they eventually moved to the more distinctly middle-class addresses of 137 Mutual Street and 17 Pembroke Street. Thompson was educated in Toronto public schools, where he felt ignored by teachers, bullied by other boys, and engaged in frequent fisticuffs. Home life, however, offered no respite from these difficulties. Nevertheless, in seeking solace from his home life, some of the boy’s happiest times were spent exploring the wilderness in the northern end of the city, and in the (then) marshland of Toronto Island. 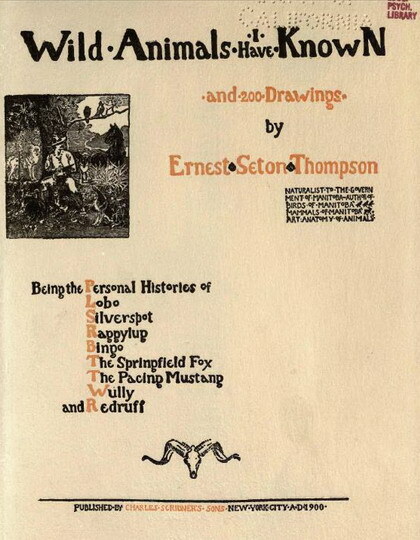 Educating himself as a naturalist on these explorations, Ernest Thompson Seton—as he later legally changed his name in deference to the family’s aristocratic Scottish forebearers—wrote over fifty books and hundreds of magazine articles, and delivered countless public lectures in the service of animal conservation. 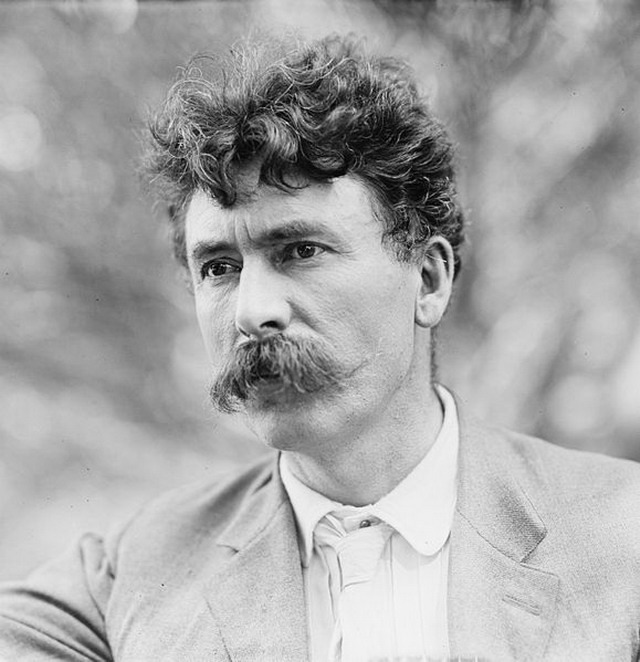 Image of Ernest Thompson Seton from WikiMedia. On one such tramp through the woods in the 1870s, as Greg Gatenby notes in Toronto: A Literary Guide (McArthur & Company, 1999), Thompson “found himself in a small heavily wooded ravine carved by one of the Don’s tributary streams.” Here, he built a cabin, constructed of discarded fence posts and brush. And, each Saturday, he played at Robinson Crusoe, or pretended to be of First Nations descent—stripping down so his skin would bronze, tracking game, or collecting feathers and shells. “I had a mission,” Star historian Donald Jones later quoted him as saying, “I was going to be the prophet of the wilderness life.” An early effort, however, ended in heartbreak when Thompson attempted to adopt a short lark and two redpolls as pets. In his room, the disoriented lark crashed into his bedroom ceiling. As the heartbroken boy wept “with the little broken body in [his] hands,” he later recalled, he realized that wild creatures were not his to own or tame, though he might consider himself nature’s friend, and he let the other birds go free. Image of Silverspot from Ernest Thompson Seton’s Wild Animals I Have Known (C. Scribner’s Sons, 1900). Instead, Thompson dedicated himself to careful observation of animals in their element, beginning in the Toronto ravines and continuing for the remainder of his life. He created voluminous journals, full of diary notes, writings, and meticulously detailed sketches. His parents also noticed artistic potential in his animal sketches and apprenticed him to a local artist’s studio; at nineteen he enrolled in the Ontario College of Art and won his class’s Gold Medal. Soon after, he left for London on a seven-year scholarship to the Royal Academy of Art. Although he studied the British Museum’s natural history collections, and sketched animals at the London Zoo, Seton’s finances were stretched and his near-starvation lifestyle took a toll on his health. His mother ordered him back to Toronto to rejoin the family. Pointing out transactions in the register—including a doctor’s bill for Seton’s birth—the father presented the twenty-one-year-old with a bill for $537.50, the sum cost of raising the son. From now on, his father added, he’d be charging 6% interest per annum. Seton was shocked, but vowed to repay the debt. Image from Ernest Thompson Seton’s Wild Animals I Have Known (C. Scribner’s Sons, 1900). During the 1880s, Seton travelled widely. First he went to Manitoba to homestead with his brother, then bounced back and forth between the family home (now at 86 Howard Street and later at 4 Aberdeen Avenue) in Toronto, New York City, Paris, and elsewhere. Wherever he resided, Seton explored the wilderness whenever he could, recording his observations in prose and drawing. He also began earning money by selling sketches and short stories about the wilderness, which were published in Century and Scribner’s magazines. Slowly, he began developing his own unique style. As he later wrote, he “had been plugging along as a naturalist of the usual type, trying merely to accumulate specimens and facts.” But he began to craft the raw, factual material into short stories. Using the literary devices of fiction, Seton’s animal stories followed the narrative pattern of biographies. He employed the realism and detail of a naturalist to describe the actual behaviour of his animal protagonists, but used literary devices to attribute the animal characters with thoughts and feelings as the story followed their life and death struggles. To add veracity that these were true accounts based on his experiences in the Don Valley, Manitoba, and elsewhere, he reproduced the animal tracks and other sketches from his notebooks into the margins of his stories. One story was about an old crow named Silverspot who was, for twenty years or more, the leader of a well-coordinated flock of crows that returned en masse each year to the wooded slopes of Castle Frank. Cawing out different orders—the bird calls Seton translated into musical notations in the margins—Silverspot ordered his well-coordinated flock about like a military unit. One day, however, there was a great uproar among the birds, and Silverspot was slain by a great horned owl. In all winters since, Seton wrote, without their leader, the number of crows in the pines of Castle Frank has dwindled. In another story, Redruff, a partridge from the Don Valley, is unnecessarily hunted down by a squatter in the woods. In another, Seton recounts his expedition to hunt down a clever wolf that had been devastating livestock in New Mexico. Image of Raggylug, the Cottontail Rabbit, from Ernest Thompson Seton’s Wild Animals I Have Known (C. Scribner’s Sons, 1900). These and other stories were published in 1898 as Wild Animals I Have Known. The first edition sold out in only three weeks, and the book was reprinted twenty times in eight years. Seton was an instant celebrity and in demand as a lecturer. Some detractors would criticize Seton for anthropomorphizing his animal characters, particularly during the Nature Fakers controversy. 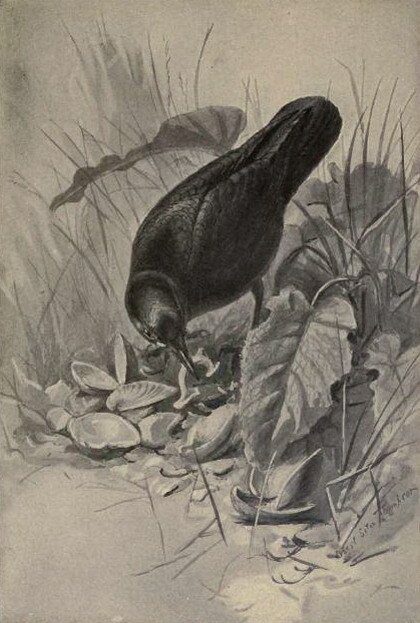 However, over the course of his career, Seton also proved adept at more scientific depictions of animals, illustrating scientifically precise specimens for books like Studies in the Art Anatomy of Animals (1896), Life-Histories of Northern Animals (1909) and The Lives of Game Animals (1925-1928), which received the prestigious John Burroughs Medal. 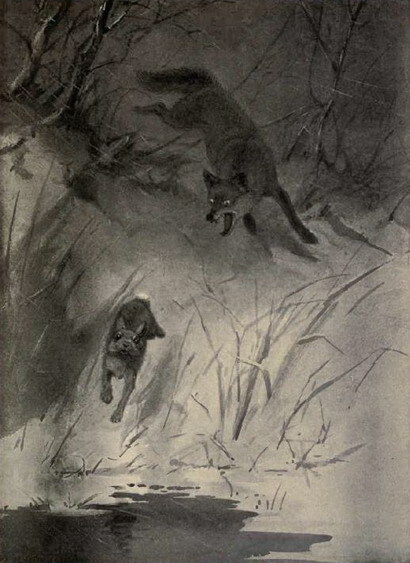 This latter publication also demonstrated Seton’s long-standing admiration and respect for predators, like wolves and cougars. During that era, even many of Seton’s naturalist contemporaries campaigned for the extermination of predators to turn the frontier into a domesticated grazing space for livestock. In his stories, Seton had no qualms with showing “necessary violence of the frontier,” as Fiamengo put it, whether perpetrated by animals or man. In later years, Seton helped found the Woodcraft Indians and the Boy Scouts. In the 1930s, he built a castle in Sante Fe, New Mexico, where he remained in retirement until his death in 1946 at the age of eighty-six. Much of Toronto’s northern wilderness has been altered beyond recognition since Seton’s day. But among that which has been turned into parkland is the wooded ravine where Seton had constructed his cabin. In 1969, through the efforts of Charles Sauriol—whose boyhood inspiration from Seton’s stories prompted the lifelong career in conservation that would earn him entry into the Order of Canada—this pocket of wilderness was preserved and named in Ernest Thompson Seton’s honour in 1969. Other sources consulted: Robert Darland, “A man ahead of his time,” National Wildlife (Vol. 38, Issue 2; February/March 2000); Bil Gilbert, “Black Wolf” Smithsonian, (Vol. 28, Issue 4; July 1997); Charles Sauriol, Tales of the Don (Natural Heritage/Natural History Inc., 1984); Ernest Thompson Seton, Trail of an Artist-Naturalist (Charles Scribner’s Sons, 1948).